Panoramic view at Munnar from Club Mahindra restort. 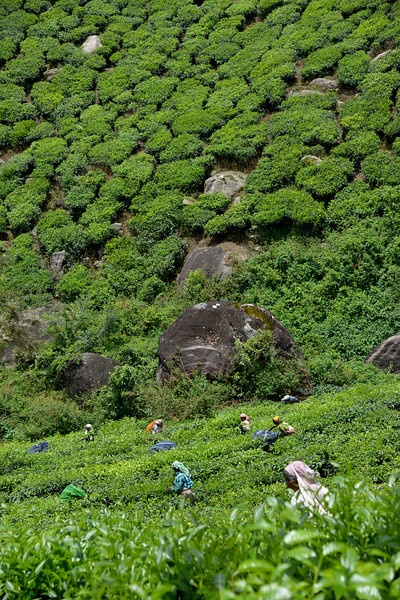 Munnar is an attractive destination with the world's best and renowned tea estates. There are more than 50 tea estates in and around Munnar. Most of the plantations are taken over by the Tata Group. Some of the major tea estates in Munnar include Harrison Malayalam, AVT tea, Michael's tea, Brooke Bond etc. It is one of the biggest centers of tea trade in India. Tea or Chai is the most widely drunk beverage in the whole world. The tea plant, Camellia Sansis, is a cultivated variety of a Tea planttree that has its origins in an area between India and China.